Basement renovations have become one of the top renovations in Canada. Games room, spare bedroom, ‘Her’ bathroom, these are just a few rooms that make renovating your basement well worth the investment. Finishing your basement adds dollar value to your home, increasing your usable space without the expense of changing the footprint of your home. Most unfinished basements can be damp and cold causing mold to grow. A finished basement helps protect you from problems like toxic mold, leaking and moisture issues. A moisture free basement means a mold free life. Health and safety are always top priority, but finishing your basement can also be fun and exciting. Adding more living space to your home means you have room to grow or more storage to shop! 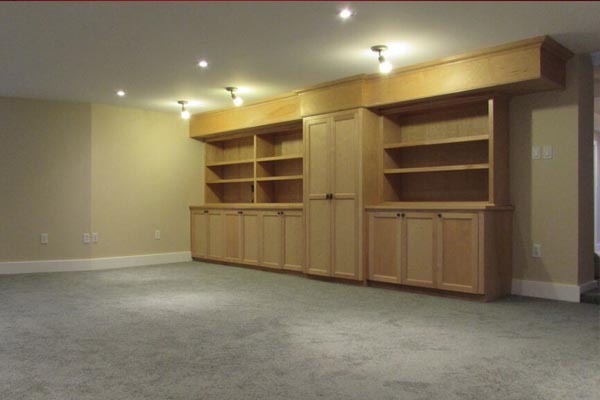 A basement design can include many rooms or one big open space for entertaining. Your design needs to accommodate your lifestyle. A basement renovation needs a well thought out design, thinking about things like how to utilize every inch of space, functionality and creativity of space. 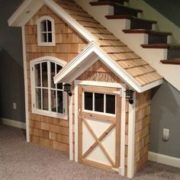 Man-Cave to a playroom under the stairs, you will find people are renovating their basements for many reasons. Will your insurance cover your work should something happen? Can you find the cracks, is their leaks or places where moisture is getting in? Do you have the required time and skill to do the project? Does your project include plumbing or electrical? A professional renovator takes on the responsibility for the project, from design to build to safety and insurance. You have to consider the cost of material, equipment and labor when deciding whether to use a contractor or doing it yourself. Sometimes homeowners get in over their heads when starting a renovation project on their own, which in the end can sometimes leave them with a hefty repair bill, costing them more than the original project quote. 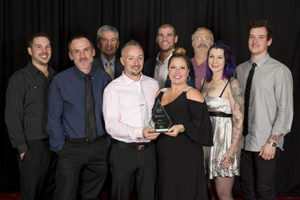 Click and find out why people in the Greater Halifax Area are choosing All-Craft to be their basement professional renovator! Small bathrooms tend to lack in functionality and spa-like feeling, creating a chaotic room unable to accommodate the needs of a household. Do they have insurance, WCB and are they Safety Certified (these are very important factors when hiring a renovator. If your renovator does not have these credentials it means you will be responsible for anyone injured on your property or damages. 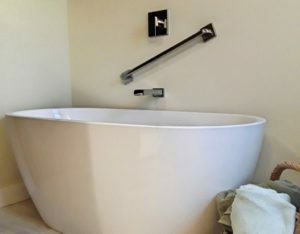 Ideas to improve small bathroom space: From paint color to vanity, lighting and windows, these materials can make a difference in creating an open look for your small space. Skylights can provide natural lighting, allowing the room to be bright. Tile flooring-new fresh 12×24 tile gives a bathroom a feeling of fresh, clean and large. If you are doing a custom tiled shower, you can tile down the shower walls and flow it onto the floor with no transitions. Pocket Doors are great when tight on space, utilizing the wall instead of the bathroom space. Large framless mirrors always give an illusion of a spacious space. Small bathrooms can be a spacious space using new trends and styles. 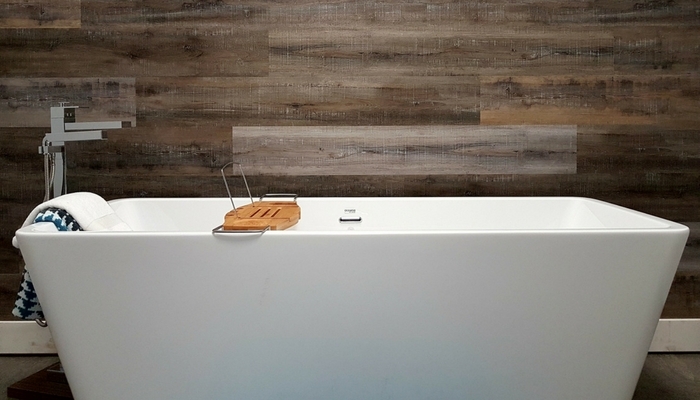 Have a peek at bathroom renovations done by the All-Craft team, taking a bathroom vision and making it a reality! 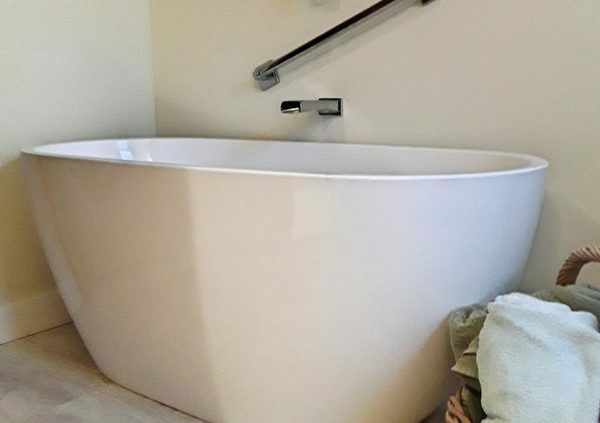 This ensuite remodel used all the top trends to make it a stylish and functional bathroom renovation. With stone being material of choice, this ensuite includes an over-sized custom tiled shower accessorized with a custom 4-ft niche and corner foot shelf to help those ladies on shaving day. A grab bar was installed for the future, to help accommodate any accessibility concerns that may arise. The chrome faucets allow for relaxation under the rain head and still have everyday functionality with an adjustable shower head. The 60” vanity with a trendy Mediterranean trough sink and granite counter top created a stylish space to get ready for your day, providing space for him and her to share. Even the mirror screams “customized”. This mirror was cut to perfection for the client’s height and accommodated the ability to share with a “Mirror Hog” because of its large size. The light fixture was mounted snug with the cut, giving off the effect that the light was one with the mirror. 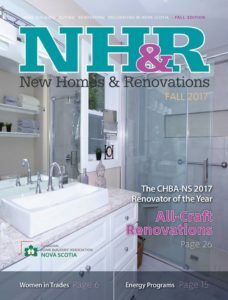 Ensuite bathroom remodels are one of the top renovations for 2016-2017 in Canada. 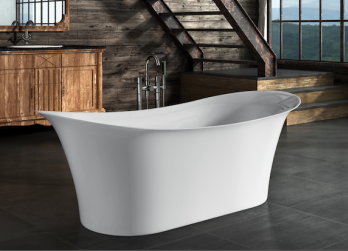 As the children leave the nest, couples find themselves craving that time alone in a “spa” like feeling atmosphere and the bathroom is the perfect spot to make that happen. Who doesn’t enjoy the perks of rolling out of bed and only having a few steps to your very own spa! There are 5 common mistakes you can make when it comes time to clean your deck. 1. Using The Wrong Cleaner: When cleaning your deck make sure to use the proper cleaner. You want to consider the type of decking material when choosing your cleaner. Take the time to call your local deck builder to help decide which cleaner best suits your decking material. 2.Use of a Power Washer: Some people go all guns blazing with their pressure washer on their decking. THIS IS A HUGE NO NO! 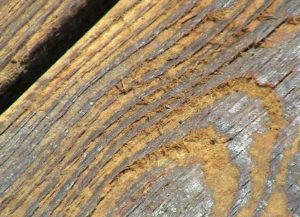 If your deck material is pressure treated wood, using a power washer can remove the natural oils that protect your wood. These oils can not be replaced with any type of stain. 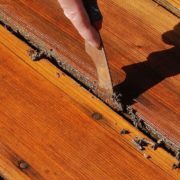 Power washers can leave splinters because of the intense power behind the nozzle and they can cause your wood to expand, loosening nails and allowing space for debris to get between. 3.Weather doesn’t matter: WRONG! Weather always matters when it comes to your deck, work and play. Always double check the weather as temperature and humidity can have major impact on how your protective seal dries. The ideal temperature is between 15-25 Celsius and it is important that you pick a day where there is no rain in the forecast. 4.Gaps don’t matter. WRONG! The dentist always tells you to “floss”, and we highly suggest that you clean your gaps. Dirt and leaves in between your deck boards can cause premature rotting of wood, like cavities if you don’t floss. Make sure to clean your gaps thoroughly. 5.“I don’t need to clean the deck in the fall” WRONG, prepping your deck for the winter is very important to help maintain the life of your deck. Making sure all of the debris and leaves are clear off the deck prevents mold from taking control of your decks surface. A screened porch enhances your ability to enjoy your outdoor space. Protecting you from weather elements like rain and wind and provides you a place to escape the scorching sun. 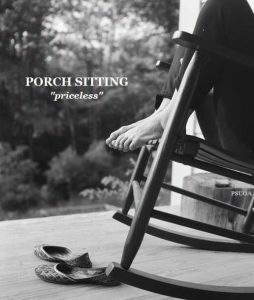 Screen porches are designed to provide a functional yet beautiful living space, constructed with a roof, a structure and than screened in, usually adding a screen door. 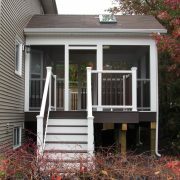 There are various looks that a screen porch can provide depending on what your budget allows for and the design you envision. Homeowners sometimes like the idea of removable screen panels because of the screen blocking out the natural light. If lighting is a concern, you can install sun tunnels skylights, providing natural light. Another option for a screened porch is vinyl sliding windows, providing you with a sleek look. Modern screen porches are considered an extension of your living space. They provide you an that extra living room, just outside. Your goal when designing your porch is to make the transition seamless from the main structure to the porch area, keeping with the original architectural appearance. 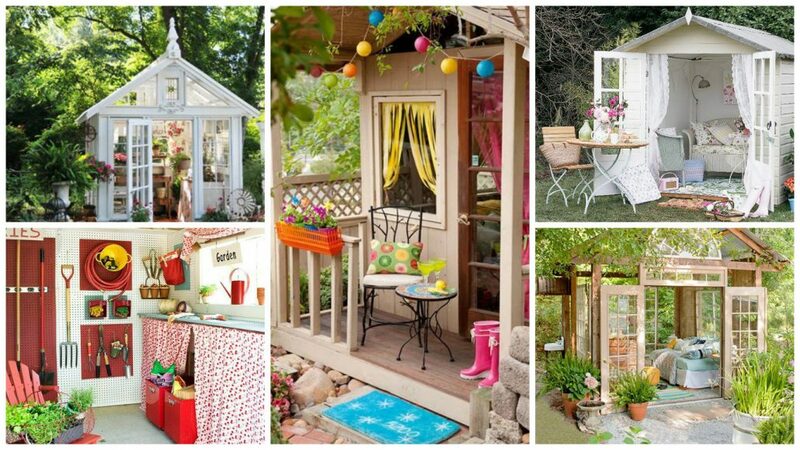 Depending on the ambiance you desire, your porch can be your private cozy space or your entertaining space surrounded by gardens, lighting and decor of choice. 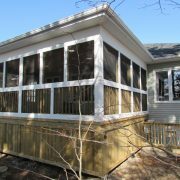 In Nova Scotia, a screened porch is a great investment to your homes value. Investing in your outdoor living space with a screened porch will leave buyers excited, adding one more room to the overall homes footprint. 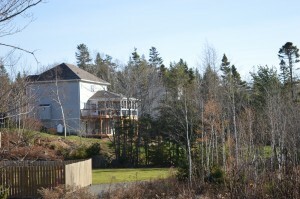 All-Craft is a custom design and build firm, specializing in outdoor spaces. 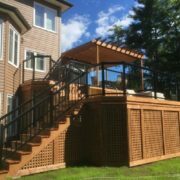 We have enjoyed building beautiful screened porches for families all over HRM, providing them a chance to enjoy 3 seasons. If you would like to receive a quote for a custom screened in porch. 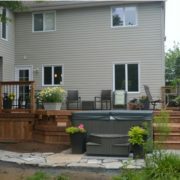 Contact your local deck building company, our division All-Craft Decks and Sunrooms.